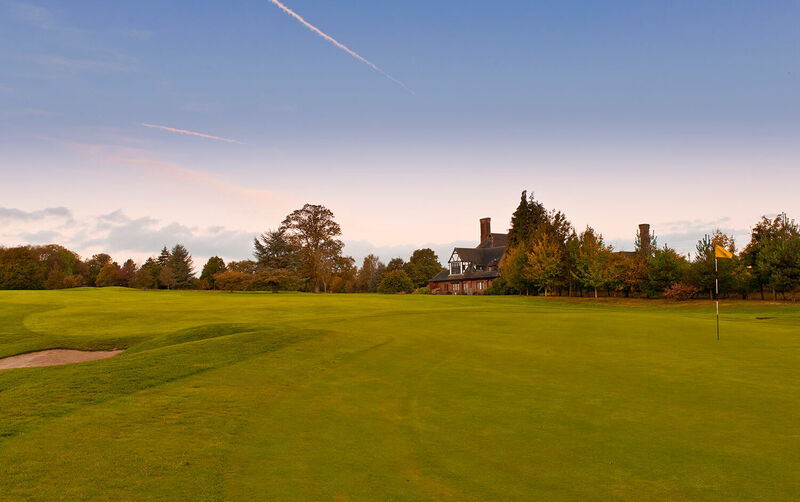 Heritage :: Beaconsfield is a traditional Members club with a classic Harry Colt designed course that opened in 1914. The course is beautifully presented and complemented by excellent practice facilities. Visitors are welcome by prior appointment. Beaconsfield Golf Club is a private members' club which owes its existence to a certain Colonel William Du Pre - a direct descendant of the French Huguenot family who fled to London following the St. Bartholomew's Day massacre in 1572. It was one of that family, Josias Du Pre, who, many years later became Governor of Madras after serving several years with the East India Company. On his retirement to England in the 1770's, he purchased the extensive Wilton Park Estate which lay to the east of the town of Beaconsfield and that branch of the Du Pre family remained there until 1941 when most of the estate's prestigious house, the White House, was requisitioned by the army. The Du Pre family never returned to Wilton Park and its magnificent Palladian style house built of Portland stone was itself demolished in 1967. 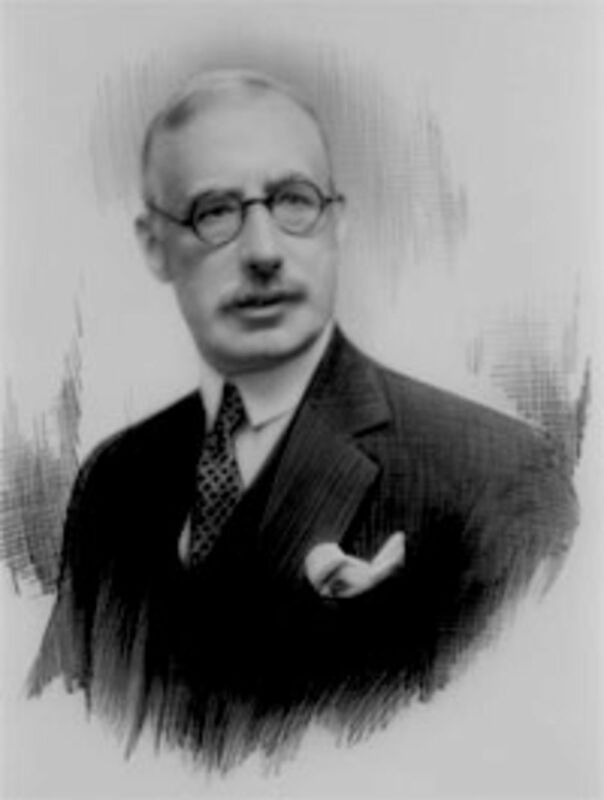 Colonel Du Pre, who succeeded to the Wilton Park estate on reaching his majority in 1896, was much given to military matters and to politics being MP for High Wycombe from 1914 to 1923. So far as sport was concerned, the Colonel's principal interest was croquet at which he excelled both nationally and internationally, winning the world championship on numerous occasions. Nevertheless, he also developed a very keen interest in the game of golf that was rapidly developing in the south of England at the turn of the Century and this interest soon led to his establishing the Wilton Park Golf Club with a nine hole course in the grounds of his estate in 1902. It is perhaps not surprising that his love of croquet even filtered through to his golf for, as the Daily Telegraph reporter commenting on the Colonel's putting in 1920 put it, “The Colonel stands facing the hole and swings the club between his legs”. When the London to Birmingham railway through Beaconsfield came to be built, it cut through the Wilton Park estate and, in the related negotiation, the Colonel had the foresight to extract from the railway companies involved a covenant whereby they were required eventually to build a “Halt” adjacent to “a Golf House” that he had in mind to build. That Halt (now “Seer Green and Jordans” station) was duly built and opened in 1915 just one year after the “Golf House” and the new course had been opened; it was no accident that, as one member once remarked, “Beaconsfield Golf Club has its own railway station in its car park”. To fulfil his dream of establishing a prestigious eighteen hole golf course and clubhouse on his estate to replace the original nine hole course, in 1913 the Colonel had engaged the services of no less a golf course architect than H.S. (Harry) Colt to design the new course on a different part of the estate. 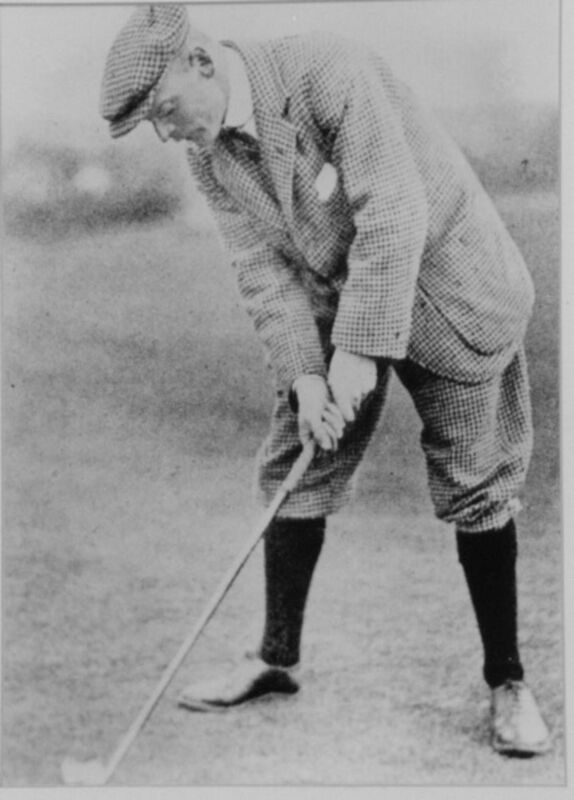 In the words of Henry Longhurst, Colt became “the best golf architect of all time” and by 1913 he had already designed some twenty courses including those at Stoke Poges, The Eden at St Andrews, Pine Valley, N. J., USA, Puerta de Hierro in Madrid and St Georges Hill. Colt went on to design over three hundred other courses in some sixteen countries including Wentworth, Moor Park and the New Sunningdale course. And to match the excellence of his new course, the Colonel also engaged the services of one of London's most prestigious building architects of the time, Stanley Hamp, to design the new clubhouse. The new clubhouse and the new course were named as Beaconsfield Golf Club and both remain today substantially as they were when they were designed, The new Club was opened in grand style on Saturday, 18th July, 1914, with an exhibition match involving Ted Ray and Harry Vardon from the ranks of the top professionals of the day and the new club's own professional, James Jones, and the professional from Burnham Beeches. Sadly however, only three weeks later, the country was at war and it was not until 1920, when something approaching normality had been restored, that thought could be given to organising a second opening exhibition match. This time, the players were none other than James Braid, George Duncan, Abe Mitchell and Harry Vardon. The new course and clubhouse had been leased by the estate to Beaconsfield Golf Club Ltd. and at the time of the Colonel's death in 1946, a new lease was already being negotiated. However, the new 21 year lease had scarcely been sealed when the executors of the estate offered to sell the freehold to the members and so it was that, after considerable negotiation, the club purchased the clubhouse and course for £12,000 in 1951. 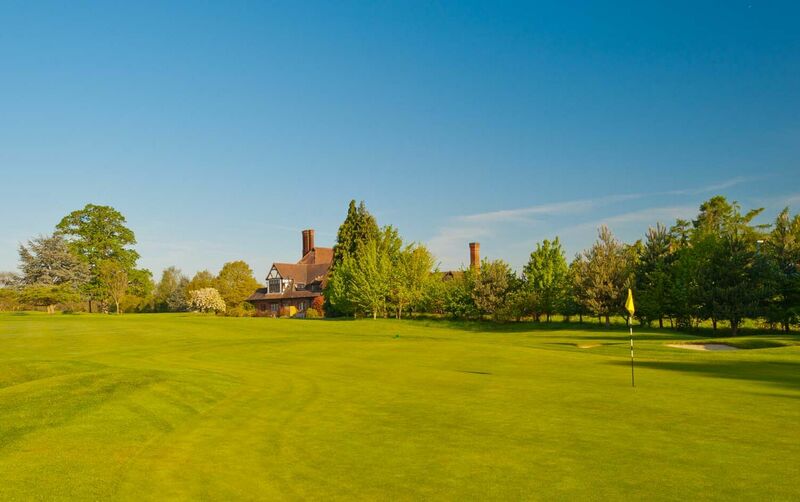 Beaconsfield Golf Club had truly become and remains a private members' club. In a very appropriate acknowledgement of its founder, the members' club adopted as its crest the crest that surmounted the Du Pre family coat of arms that had been granted in 1826. This crest features the silver lion rampant with its right hind foot resting on a red fleur-de-lys. The layout of Colt's course remains much the same today as it was in 1914 and it still exhibits several examples of Colt's design features of that time – not least of which are his most celebrated diagonal cross bunkers which still entice and entrap the unwary player on several holes. Over the years, very many trees have been planted which enhance the beauty of the course and isolate the holes from each other in attractive, tranquil surroundings. During its long history, many distinguished names have been associated with the club as members or honorary members, including David Lloyd George and Stanley Baldwin, Amateur Champions and Walker Cup players Bernard Darwin, Roger Wethered and Cyril Tolley and that most prestigious of lady golfers, “Cecil” (Cecilia) Leitch. And to the list of honorary members can now be added the names of Peter Alliss, whose father, Percy, was the professional at Beaconsfield in the 1930's and Luke Donald. Luke Donald was Club Champion while still a junior member of the Club and went on to win numerous national and international tournaments before being selected to play in two Walker Cup matches. He became a professional golfer in 2001 and the following year won his first professional tournament in the US. In February 2011 he overcame Martin Kaymer, the number one ranked player in the world, 3 & 2 in the final of the Accenture World Match Play final. Luke's form continued to be exceptional in 2011 going to the top of the world rankings in May after winning the BMW PGA Championship at Wentworth. In 2012 he became the first player ever affiliated to both the US and European tours to head the money list for the year on both tours. Mention must also be made of another current member of the Club who has an extraordinary record of golfing achievements. Christine Watson was not only the Beaconsfield Ladies Club Champion for 20 consecutive years between 1987 and 2006 and Bucks County Ladies Champion 12 times, she has also achieved international honours at all age levels from the England Girls Team through to the current England Senior Ladies Team. In recognition of this outstanding record, Christine has been made a Life Member of the Club. The long and fascinating history of Beaconsfield Golf Club culminated in 2002 with much celebration of its Centenary.